At Oglethorpe Family Dental LLC, our goal will always be to treat our patients with respect and provide them with the highest level of family dentistry available. Our office is currently accepting new patients. Please call our office at 912-877-3070 to schedule an appointment. Once you make an appointment at our office, that time will be reserved for you. If, for some reason, you are unable to keep your scheduled appointment time, please call us with 24 hour notice to reschedule. Upon your visit to our practice, please provide us with your current insurance card/information. 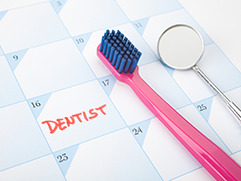 We accept most dental plans, and as a courtesy, will file dental insurance claims for you. CareCredit is a credit card program offered by a third-party. Finance your treatment costs with CareCredit and receive care immediately! Access the CareCredit website to obtain more information.